Meet Jermaine Rodney from Jamaica. After studying at Western State Colorado University, he founded a thriving small business in Colorado and became heavily involved in community work. He is the founder and owner of Jermaine’s, a coffee shop on Main Street in Gunnison, Colorado, which employs 8 people and was awarded Best New Business in 2017. Jermaine mentors local children through the “Gunnison Mentors” program. So far, he's raised over $20,000 for local and international charities. 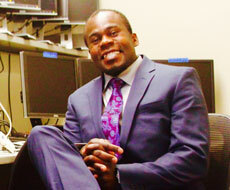 Find more stories like Jermaine's at www.nafsa.org/internationalstudents.